Check out the before/after pictures below submitted by people like you. Slide the bar in each photo to examine how natural and full the "after" hair looks! 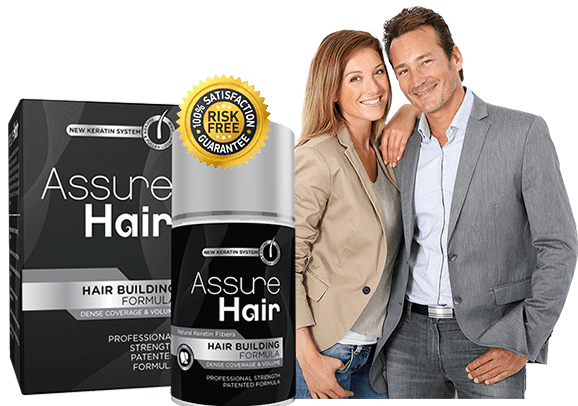 Assure Hair’s Cotton Hair Fibers are amazing! 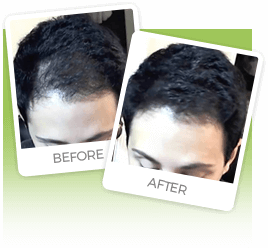 The Patented Professional-Grade solution instantly eliminates the appearance of baldness and thinning hair for both men and women. 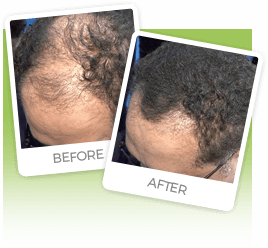 It is not a paint or cream that attempts to cover your bald spots, instead it is finely textured natural fibers that binds to your existing hair and forms a complete layer of "hair" above your scalp. Thus, your hair looks thicker and fuller within seconds. Made of patented natural plant fibers and proven to be safe & effective. Assure Hair supplies are limited. Order now to get your bottle. 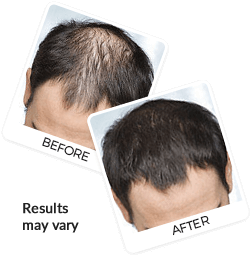 Assure Hair is a safer, faster and more effective alternative than any other solution, procedure or drug currently on the market. 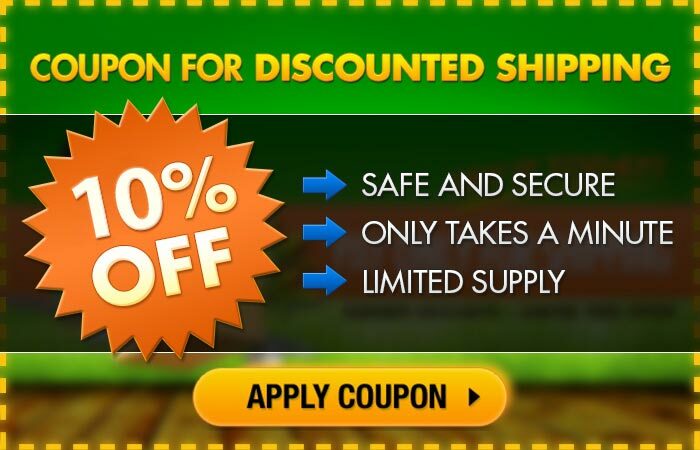 Free shipping on all initial orders. We use the laws of physics to your advantage by using a raw material called Gossypium Herbaceum. The fiber extracted from this plant, carries a negative charge, which causes a natural magnetic reaction to your hair (positively charged). Our Professional Grade All Natural Cotton Hair Fibers resist wind, rain, and perspiration for long-lasting results in all conditions. It is also great for part lines, covering extension tracks and touching up roots between hair color appointments. Easily washes out with normal shampooing. safer, faster and more effective alternative than any other solution, procedure or drug currently on the market. By a simple 4 step process, Assure Hair natural hair fibers will provide undetectable results that will last all day and night. Recommended daily use to achieve a life of fuller, thicker and healthier hair. Step 3 Gently pat hair to disperse fibers. Step 4If desired, lightly comb, brush or style your hair. When your looking for a solution that will provide you with the results you deserve, listen to what our customers have to say and try it risk free today. Assure Hair Fibers really work. 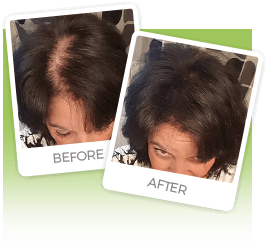 It takes a few seconds to see the results it has transformed my hair which was definitely thinning on top. My hair looks fuller and thicker overall. Cant wait to see how friends start to react.. I'm a 35yo healthy athletic male, I've had NO side effects. 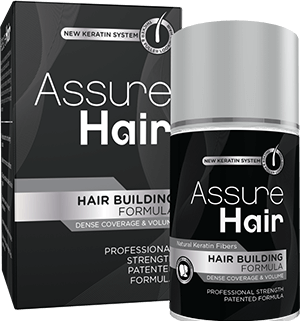 I’ve been using Assure Hair for 3.5 month, it works right away and I can get on with my busy life. Once I did it my hair started filling in wonderfully. Had tried so many things before even prescription medications..but nothing stopped my hair from falling..the day i started using Assure Hair my hair starting looking better and I started feeling more confident..im amazed! so glad i found it! Although i’ve only been using it for just over a month now, even my hairdresser couldn’t stop complimenting the quality of my new full and healthy hair. Choose below to get your best value today! Cellulose, Sodium Sulphate, Alluminate Silicate, Ammonium Choloride, Different colors can contain FD&C Orange No. 4, D&C Green No. 5, FD&C Green No. 3, D&C Green No.6, FD&C Blue No.1 Net weight 22g. 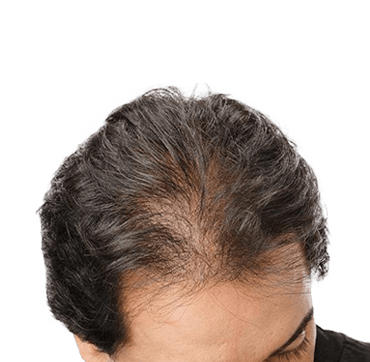 What is ASSURE HAIR FIBERS? 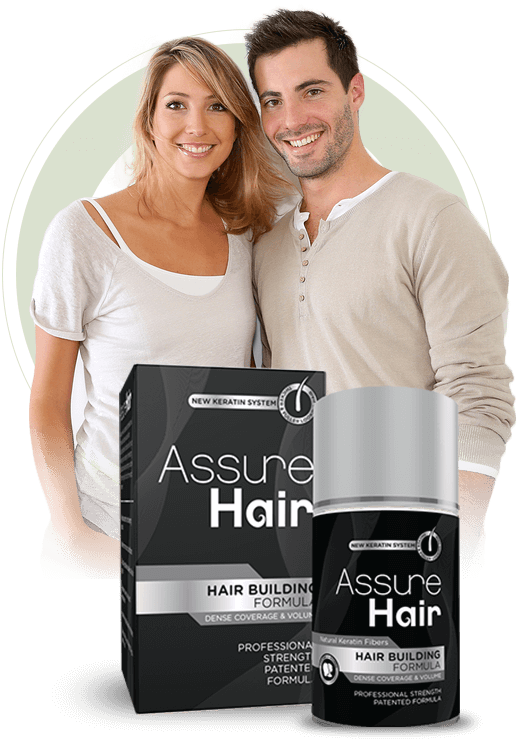 ASSURE HAIR FIBERS is a natural fiber that looks like fine hair. 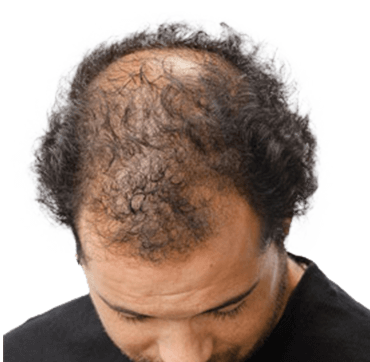 When applied to thinning hair, it clings to the hair shaft making the hair shaft look much thicker. This gives the appearance of more hair and covers up any visible scalp. From what is ASSURE HAIR FIBERS made? ASSURE HAIR FIBERS is made from the cotton plant. It occurs naturally in nature. You can wear it and have it next to our skin every day with no effects. Is ASSURE HAIR FIBERS safe to use every day? Yes it is safe to use every day. 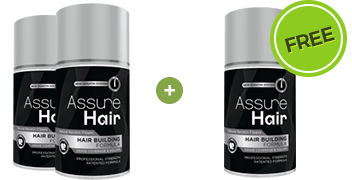 Treat ASSURE HAIR FIBERS like any other hair product. Do not ingest it, do not use it on or near your eyes, or any other part of your face or body besides your head. 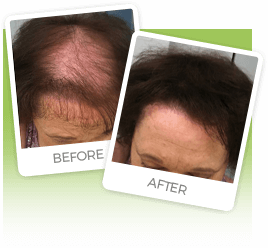 Does ASSURE HAIR FIBERS work for everyone? 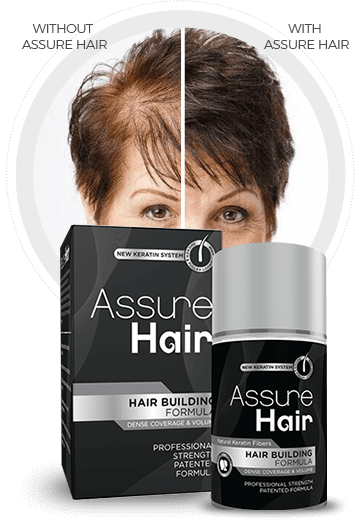 ASSURE HAIR FIBERS is perfect for when your hair is fine, thin or thinning. It requires some hair to cling to. 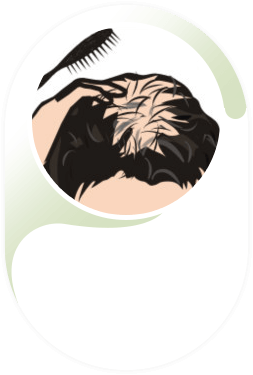 You cannot use ASSURE HAIR FIBERS if all your hair has fallen out. You cannot use it on a totally bald area. 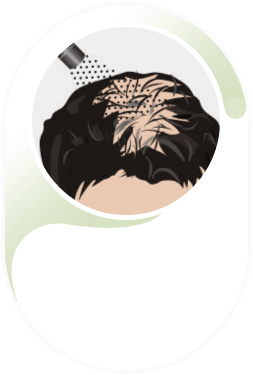 ASSURE HAIR FIBERS hair-like micro fibers cling to hair making it look thicker. But as long as you have some hair, even if it is very fine hair, you will see results. See above for color options. How do I know which color to choose? When choosing a color make sure you choose a color that is close to your root color since that is where you will be applying ASSURE HAIR FIBERS. How do I apply ASSURE HAIR FIBERS ? Use ASSURE HAIR FIBERS on clean dry hair. Shake ASSURE HAIR FIBERS onto thinning area and using your fingertips, blend in with your existing hair. Repeat until desired effect is achieved. Watch our video to see how it's done. For best results and maximum electrostatic cling, use on clean blow dried hair. A light spray with our Assure Hair spray will help to keep your style in place all day long. During normal daily wear, ASSURE HAIR FIBERS lasts oneday up to a few days and will stay in during light rain. However, if you go swimming get caught in a heavy downpour, you may have to reapply. Carry a travel size with you so that you can touch up if this happens. Yes, ASSURE HAIR FIBERS washes out when you wash your hair. Will it drop out on my pillow? No. ASSURE HAIR FIBERS doesn't fall out on your pillow. It doesn't fall out at all. You will need to wash your hair to remove it completely from your hair. Does ASSURE HAIR FIBERS stain my clothes or my hands? No. Under normal use, ASSURE HAIR FIBERS does not stain. The fibers and colors are water-soluble. If you follow the directions for applying ASSURE HAIR FIBERS you will not get it on your clothes. But if you do, just flick, pat or blow it off. If you get any on your skin around your hair line, just wipe it off with a tissue. However it is good advice to always be careful with ASSURE HAIR FIBERS as you would with any colored hair product. Protect yourself and your bathroom surfaces. Does it work on long and short hair? Yes. 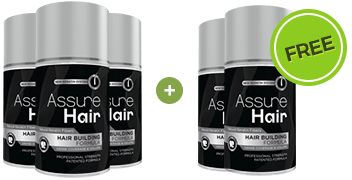 ASSURE HAIR FIBERS is designed for the concealment of thinning hair at the root end of the problem. It doesn't matter how long your hair is. Just remember that longer hair looks thinner than shorter blunt cut hair. Does it matter if my hair is very, very fine? No. As long as you have some hair, even very fine hair, ASSURE HAIR FIBERS will work. In fact ASSURE HAIR FIBERS works best on fine hair! 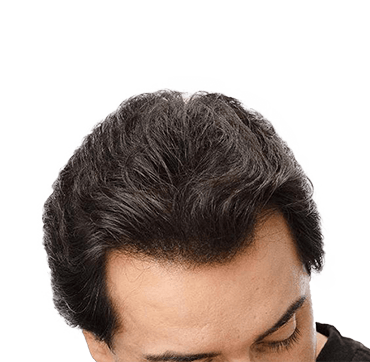 Can I apply ASSURE HAIR FIBERS to wet or damp hair? 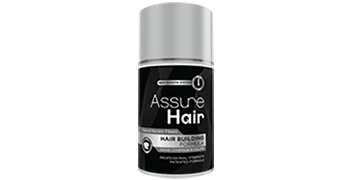 ASSURE HAIR FIBERS can only be applied to dry hair and works best on clean, dry hair. Can I use a hair dryer with ASSURE HAIR FIBERS ? Yes. In fact drying your hair with a hair dryer prior to applying ASSURE HAIR FIBERS can help the fibers to cling more to the hair. Yes. 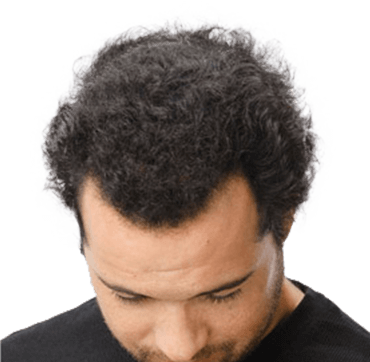 A light spray of hairspray after you have applied ASSURE HAIR FIBERS.